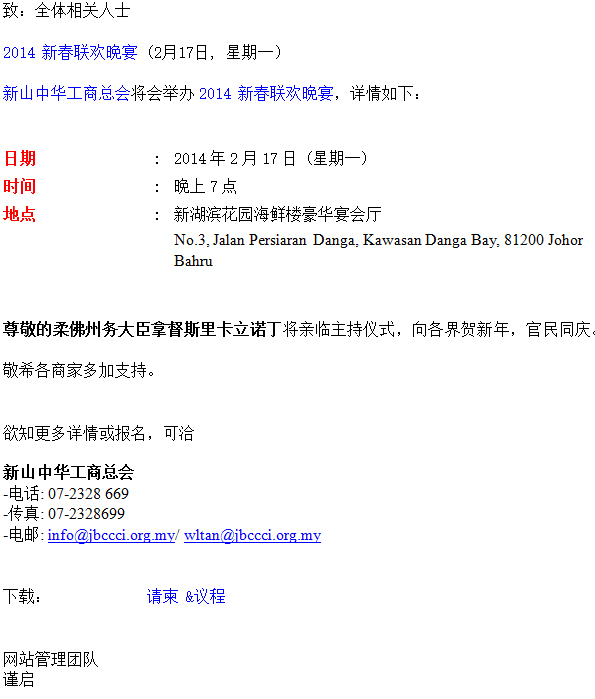 Please be informed that Johor Bahru Chinese Chamber of Commerce & Industry (JBCCCI) will be organizing 2014 Chinese New Year Dinner. The said event will be officiates by Y.A.B. Menteri Besar Johor, Dato' Seri Mohamed Khaled bin Nordin.